15 500 000 SKr, VAT is payed. The vessel is ready to go! m/v Crum is a one-off design for cold water, long distance and arctic archipelago crusing with extreme sea keeping capabilities and great fuel efficiancy. m/v Crum is constructed and built in accordance with DNV rules for sea and ice going aluminium work boats. 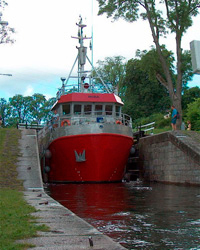 mv/ Crum is prepared for advanced river navigation due to her shallow draught, great maneuverability and well protected 5-blade propellers and twin rudders. m/v Crum is very comfortable for two couples, with generous double cabins - each with office, shower and WC facilities (approved tank system). 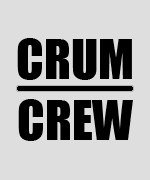 m/v Crum is built for weather conditions we yet have to name! Click tags fore more information about m/v Crum.